While most combatants are in cover staying low, the Battle Jesters are doing their best to be noticed. Highly mobile and acrobatic they gear more for defense than offense. Though not all Battle Jesters take their nick name to heart, they tend to dress much brighter than their squad mates. Battle jesters use leg augmentations and boost units to make huge jumps and maneuver midair. Their job is to keep the enemy distracted while using their speed and shielding to avoid actually taking any hits. Unfortunately ignoring them isn’t an option as they tend to carry hard hitting munitions, and their acrobat skill and mobility can get them into position for a deadly strike. 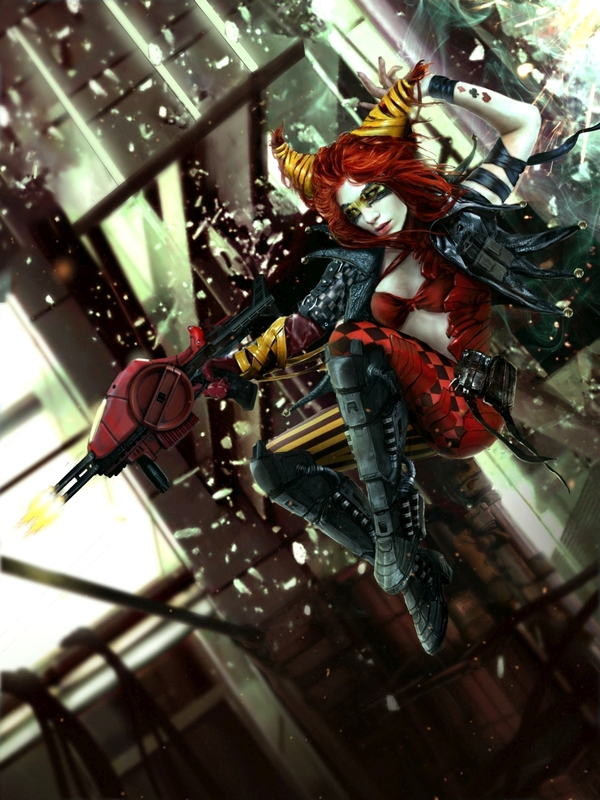 Show: A human female Jester lightly armoured with little obvious augmentation.